Michael Slote is UST Professor of Ethics and Professor of Philosophy at the University of Miami. A member of the Royal Irish Academy and former Tanner lecturer, he has written in the areas of ethics, philosophy of mind, epistemology, political philosophy, and philosophy of education. "Virtue Ethics goes global with this collection, which explores, with impressive depth, much unfamiliar territory." 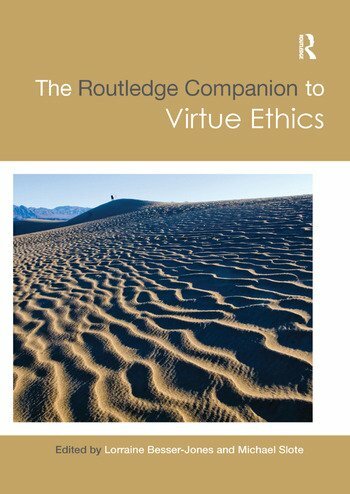 "This remarkable volume is unique in approaching the topic of virtue ethics from a truly global perspective: global in terms of the refreshing and long overdue inclusion of non-Western traditions as well as in terms of disciplines, topics, and philosophical commitments. The choice of authors is outstanding and together their contributions broaden, deepen, and offer much needed nuance to our understanding and appreciation of the history, practice, challenges, and contemporary relevance of virtue ethics." "A rich and stimulating collection spanning contemporary and historical approaches, with impressive coverage of both theoretical and applied issues and an unusually wide cultural reach."